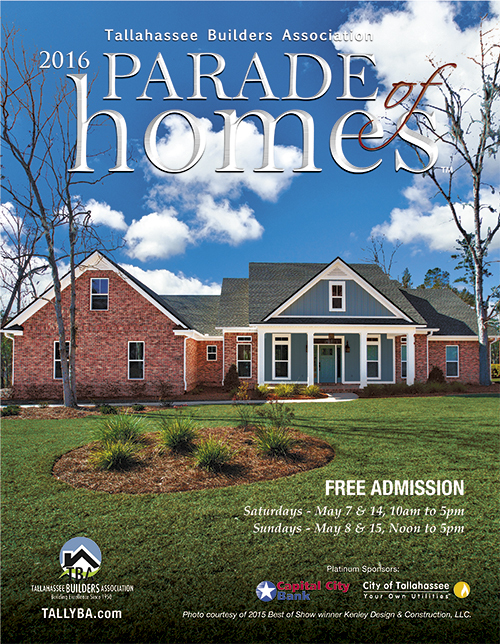 Click here to view the digital version of the 2016 Parade of Homes Guide Book. 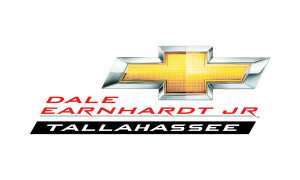 For more information on the Parade call the TBA office at 850-385-1414. You don’t want to miss out on seeing this beautiful custom-built all brick Gwaltney Construction home! This 4 bedroom, 3.5 bath home with bonus rooms and a detached garage features 10’ ceilings, custom trim, built-ins, 3 fireplaces, wine room, billiards room, storm shelter and heated tile flooring in the master bath to name a few. The kitchen is top of the line with custom cabinets, granite countertops, natural stone flooring, Wolf appliances, and a SubZero refrigerator. 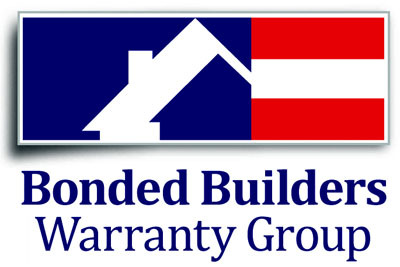 Come see us during the Parade of Homes and we will be happy to answer any questions you might have. Welcome to the newest Northeast community- Chastain Manor featuring cottage style homes located in a quaint pocket style community! The Chelsea 1717 Model features a 3 bedroom/2.5 bath home with Board-and-Batten siding, sand and finish hardwood floors, granite countertops, custom cabinets, enlarged kitchen island and fireplace with mosaic tiles. THERE’S NO PLACE LIKE HOME! Embrace the spirit of simpler living the moment you walk through the front door with this original, new-construction cottage. Cool, calm, and sophisticated, this functional home is enveloped in light and comfort. Crisp, white trim, wood floors and high ceiling create a timeless style that will help you forget your daily stresses. This energy efficient home with HOA maintained lawns reflects the taste of those accustomed to the best in quality, design, and finishes; while retaining the value of peaceful living. Plus, it’s conveniently close to shopping, school, and hospitals. The Haleyville model is one of our most desirable floorplans. At 2,077 SF, this 4-BD/3BA split plan boasts a media/study/office, covered porches and a deep foyer entrance. The flex room located off the foyer is ideal for many uses or as a formal dining room. The spacious, open family room is equipped with multi-media hookups above the gas fireplace and mantle; and has built-in book shelves on both sides. This expansive great area adjoins a gourmet kitchen with large island, stainless steel appliances, granite countertops and eat-in dining area. The master suite includes a huge walk-in closet, deluxe master bath with double vanities, walk-in shower and separate jetted tub. Fourth bedroom can easily be converted to a 2nd master bedroom or in-law suite. Also, large laundry room and drop-zone area, 2-car side entry garage, covered front entry porch and covered rear porch over-looking the beautiful backyard. Beautiful craftsman-style home with a large great room that includes custom built-in bar with wine chiller / refrigerator combo, and gas fireplace with built-in cabinets and bookshelves – all with granite tops. Master bath has large shower with frameless glass door, whirlpool tub, plus custom wood shelving in closet for perfect organization of shoes and clothes. Kitchen has large dining area with GE Profile appliances and walk-in pantry – finished with custom wood shelving. Living room and master bedroom enhanced with double pop-up ceilings and three layers of crown moulding. This model features fine craftsmanship, the latest trends in tile, trim & design, and attention to every detail. The owner’s suite occupies the entire west wing of the home and offers lots of natural light, incredible custom closet, and a luxurious bathroom. The main living spaces feature high ceilings and an open layout that is perfect for entertaining. Brand New, 4 bedroom, 3.5 bath home in Mariana Oaks with custom cabinetry, beautiful trim detail, oil-rubbed bronze fixtures and tray ceilings. High attention to detail in this floor plan with plenty of storage. Gorgeous oak trees throughout the neighborhood. A must see home in this year’s Parade! Custom French Colonial/French Creole home with bell curve roof. Reclaimed 136-year old beams and cypress ceiling. Enclosed sunroom overlooking terrace. Chef-level kitchen with custom cabinetry. Mudroom with drop zone. Historic, period millwork and reproduction-style lighting. Solid, site-finished oak floors. Solid alder doors. Grill Porch and workshop. Again-in-place, unique open design. Home is SOLD. Priced at $650,000 on your lot. Beautiful Centerville Conservation – this Bridgewater Builder’s custom home is open and airy with 10’ ceiling throughout. Classic design yet appealing flow for family living. Features custom mill work with craftsman trim, wainscot in foyer & dining room, coffered ceiling with pine tongue and groove in great room, designer tile details, built-in pantry cabinets with wood counters, and drop zone. Wood flooring and marble and quartz countertops in kitchen & bathrooms complete with custom home. Cooks kitchen with GE Café Appliances, farm style sink and a double-edge marble island. Bridgewater Builders Modern Farmhouse – Details of the well planned out design of this home are endless. Upon entry, you will find hand waxed white wash pecky cypress walls and ceiling of reclaimed barnwood. This classic, comfortable open floorplan has a timeless feel of an old farmhouse, yet offers today’s modern finishes, including 10’ and 12’ ceilings, 200-year-old solid Heart Pine beams in great room, amazing brick feature wall, plus Pine shiplap walls in the great room, dining & kitchen. Custom cabinetry with inset doors, quartzite counters, outdoor fireplace, dog shower in laundry, Pella windows and Icynene insulation. Sustainable building with reclaimed wood used throughout this custom home.